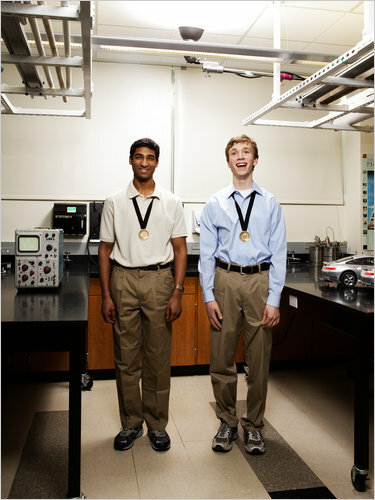 I have to post this, mostly because it’s a nice article about some sciencey kids. Also because the sheer dorkiness of the picture immediately transported me back to high school. I swear there’s a picture of me exactly like that, same outfit and everything.